The British automotive manufacturer Land Rover seems to be succumbing to the lover who wants the Defender models are still produced. It happened after on February 2016 they revealed the final production of Defender model. Evidence has recently the British Multinational Car Manufactured Jaguar Land Rover will reproduce of the latest generation of Defender. The plan has strengthened from an image released by Land Rover that called the model will be the latest generation of Defender. The boss of Jaguar Land Rover, Dr. Ralf Speth, said it has conducted a series of road tests on a prototype model Defender. Although, the current model is still being developed. As quoted from Autocar on Monday, October 3, 2016, Speth reveal the launch will be made in 2018. Although quite fast, Land Rover take advantage of some of the development of models of products. As the vehicle architecture will use aluminum as applied to the latest model of the Land Rover Discovery. "The new Defender will be an icon, and we're working on an authentic replacement of the old Defender. The architecture will contain many different elements from other aluminum models," he explained. Speth also confirmed that the development will be done using a low cost, the goal for Defender affordable price. However, this generation will offer offroad vehicle class as its predecessor. As a reminder before, a billionaire and Land Rover Defender lover, who was also the last edition Defender buyers, Jim Ratcliffe was dissatisfied. 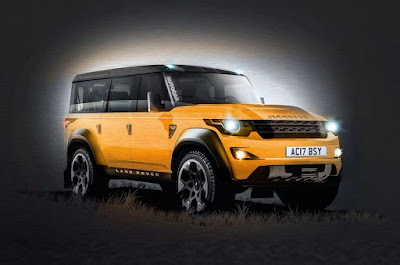 He asked the British car manufacturer to reproduce the Land Rover Defender.